As I look out on a sea of unwashed faces and uncombed hair, my heart breaks. How many homes are represented here? How many are homes where the children are not receiving enough love? Then, I remember my Lord asking Peter, "Do you love me?" To Peter's "Yes Lord," he responded, "Feed my lambs." I realize that he meant more than physical food. 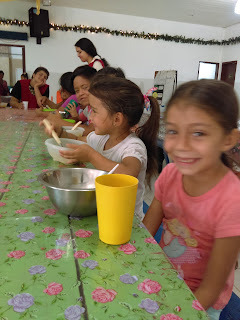 These children come to the Costanera church to get food and receive love along with it. I am amazed because I can see it changing their lives. However, I worry that it is not enough to break the cycle of selfishness, neglect, and poverty that generations of their families have endured. Then, a little hand slips into mine and gives it a tug. As I look down into the beautiful unwashed face she tells me, "Your face keeps changing." I kneel down so that we are eye level and ask, "How so?" She tells me, "It is happy then sad, happy then sad." I smile and tell her that I will work on keeping it happy. With a smile, she returns to her food. We are an ordinary family living an extraordinary life one step at a time. 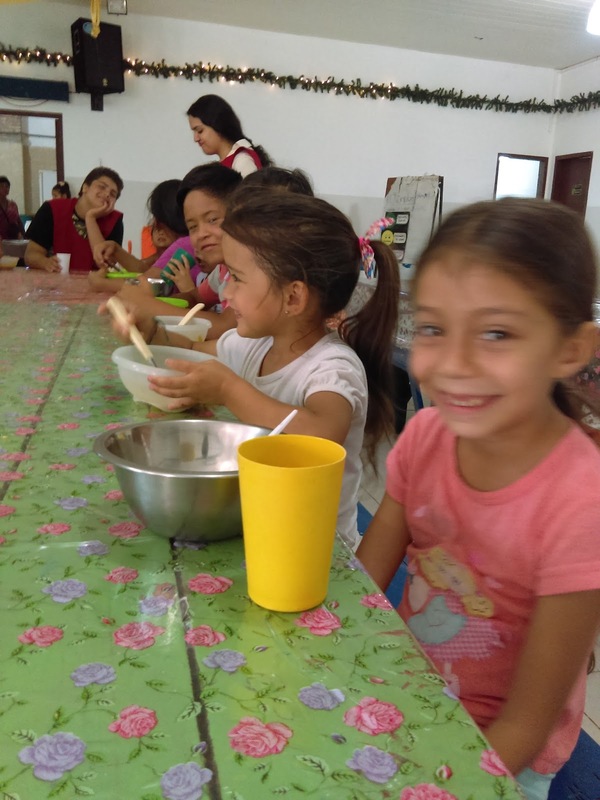 Our monthly ministry budget for Spain is double our budget for Paraguay. If God is leading you to partner with us through a one-time gift or monthly pledge?